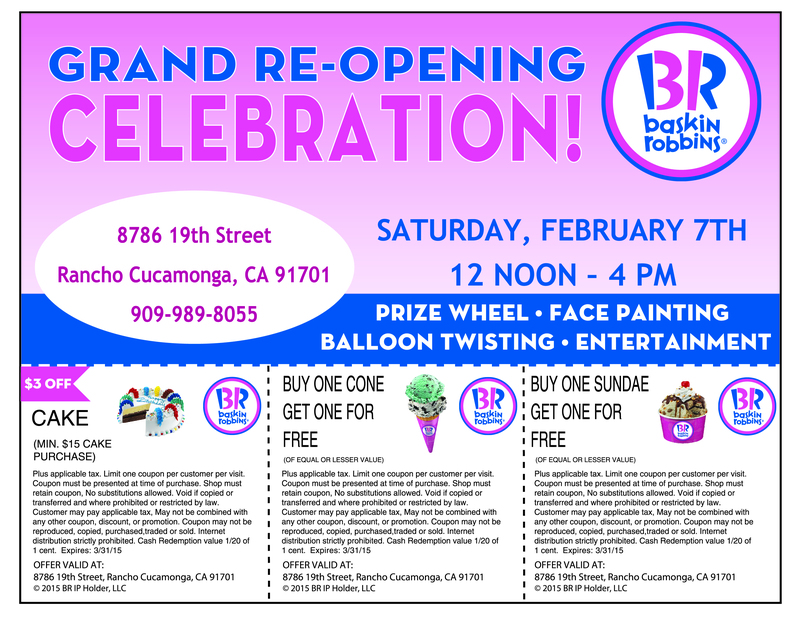 On Feb 7th, 2015, our lead face painter, Cynnamon, will be face painting at the re-grand opening of the Baskin-Robbins in Rancho Cucamonga on 19th St from 12pm- 4pm. The re-grand opening is completely free to all families and anyone that would like to come celebrate new ownership and a new start for this Baskin-Robbins location. Baskin-Robbins happens to be our favorite ice cream location and we personally believe they have the best soft serve ice cream in the Inland Empire so we are very excited to be a part of this event! Not only will they be providing the complementary face painting for anyone that attends their grand opening event but they will also have some surprises in store! So come on down Saturday February 7th anytime between 12pm and 4pm, enjoy some ice cream, get some free face painting and you never know what other surprises you might receive! We also offer balloon twisting, clowns, princess characters and photo booth rentals! This entry was posted in Corporate Face Painting, Face Painter, Face Painter Inland Empire, Face Painting for company parties, face painting for kids and tagged Face Painting for company event, Free face painting at Baskin Robbims, Free face painting event Inland empire, Free face painting rancho cucamonga. Bookmark the permalink.